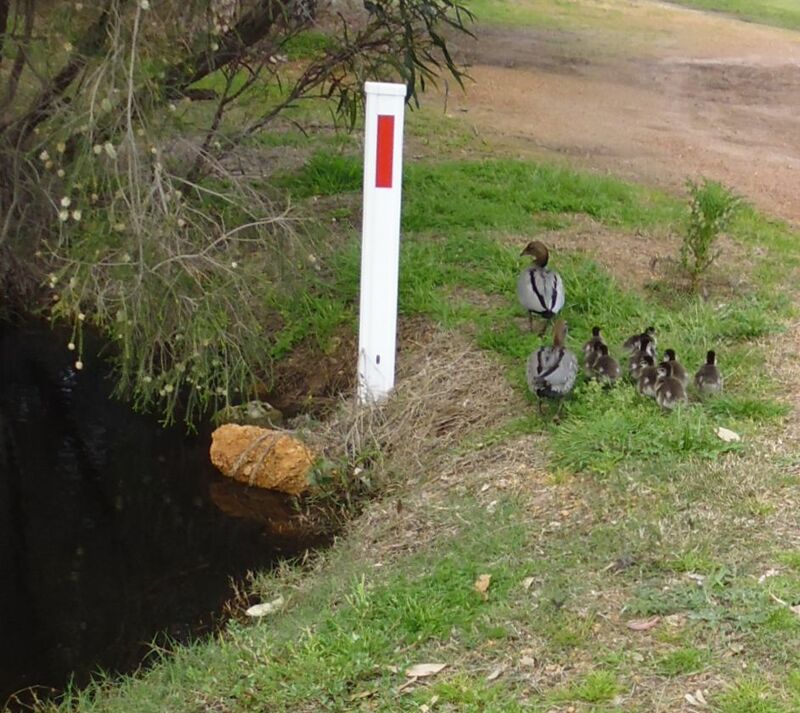 One of my nieces (I only have two) had her first baby last week, and yesterday I saw some new ducks (11 was the most I counted!) on the drive into town, as well as a kangaroo with a joey leg sticking out of her pouch. Spring has sprung! Update 15 August 2016: This breeding pair is early this year! 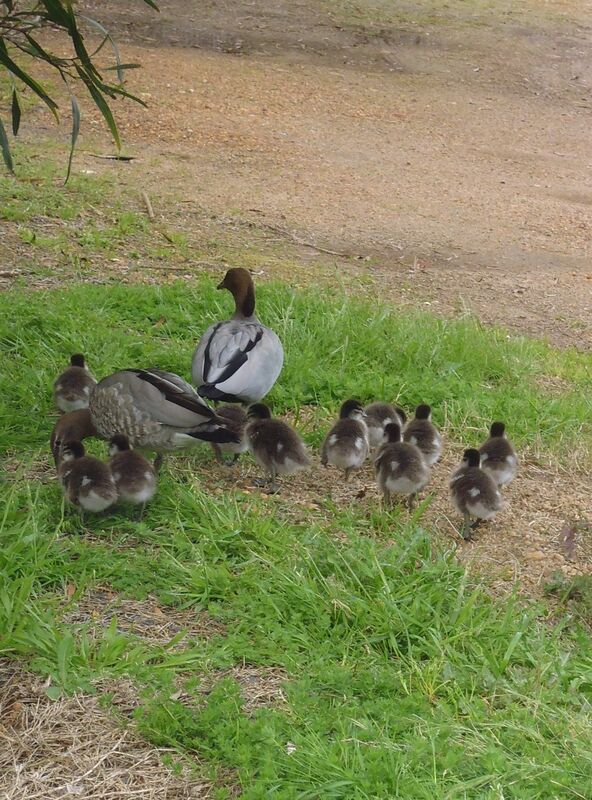 I saw the new babies following Mum and Dad today, a month earlier than last year. No photo as we had traffic behind us. 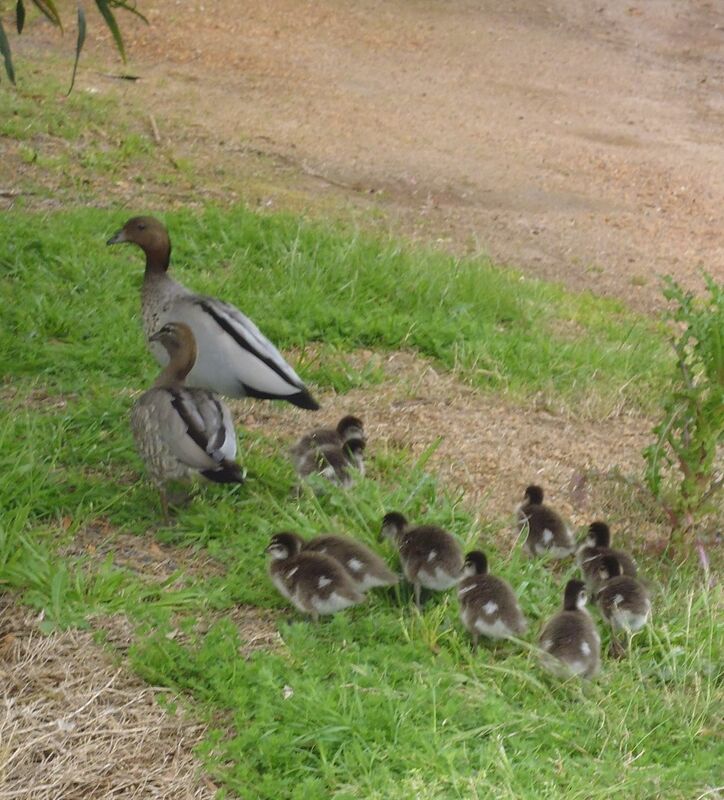 Update 22 August 2016: Two pairs of ducks now have babies. The first pair (those I saw last week) have about 10 babies, and the other nearby pair have about 6 (photo of that family below).